You could have a great payment history and still get dinged. Here’s what to look out for. With over seventeen years as a real estate professional I have seen many homebuyers struggle with the realization that their credit scores are not nearly as strong as they had imagined they were. Everyone knows the basic rule for building good credit: Pay your bills on time, for a long time. What many people don't realize is how important it is to use far, far less than the total amount of credit available on your cards. How much of that credit you use and your bill-paying behavior add up to the most significant factor in your credit score. "It's a big issue, even for people who pay their bills on time. With consumer borrowing in the U.S. rising in March to the fastest pace since November 2001, it is poised to become even bigger. And with banks increasing their scrutiny of applications for mortgages and other loans, a strong credit score is critical. The rule of thumb says you can tap 20 to 25 percent of available credit before you risk hurting your credit score. Experian, one of the credit raters, or bureaus, found that millennials (19 to 34 years old), who use bank cards1 less than previous generations, nonetheless use an average of 43 percent of available credit. Gen Xers (35 to 49) use an average of 41 percent. Those 50 and older tap just 25 percent of the credit limit on their bank cards. Even if you don't carry a balance, your score may be dinged if you use a lot of your available credit. Most card issuers report balances to credit bureaus around the close of the billing cycle, before you pay your bill. "That's what trips people up, especially people who might be using credit cards for everything, so they can get rewards points," In general, the more available credit you use, the more your score will be dinged. But there are twists. 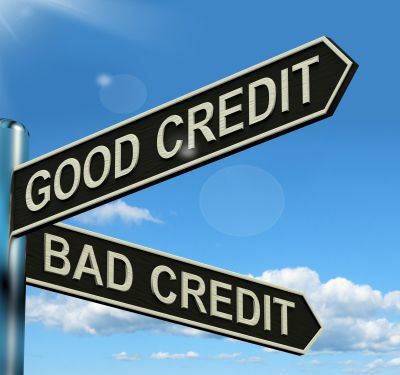 Credit bureaus use different scoring models. Even within a single model, consumers are grouped in subcategories known as scorecards. Say you're a consumer who filed for bankruptcy protection a few years ago and is now on a scorecard with other people with serious credit events in their past. If you're using 38 percent of total available credit, it could hurt you more than someone on a cleaner scorecard who's using 45 percent. Lowering your utilization rate can give your credit score a healthy boost. It's one of those things that can actually be a quick fix to your credit score, and there aren't a lot of those. Better still, if your usage is high one month, pay off the balance five days to 10 days before the close of your card's billing cycle. You want to have your payment credited before the balance is reported to the credit bureaus. The reason you're carrying a big balance to begin with might well be that you don't have the money. In that case, consolidating credit-card debt and rolling it into a personal loan through a site such as LendingClub or Prosper can improve your score. If the loan has a fixed monthly payment over a fixed period of time, it's counted as an installment loan. Installment loans don't get the same amount of scrutiny as utilization. "As long as you don't run up your card again, you would see your utilization improve and your credit score improve. If you pay off the balance on a few cards, don't close them down. If you keep your access to that credit, using those cards regularly but without raising your spending, it will help your credit score by lowering the ratio of used to unused credit. One more tip: Say you've had the same credit limit for years, but your income has gone up. You might request a higher limit. Again, the point is to get it and not use it. If you take this tack, the issuer may do what's called a "hard inquiry" on your account to check your eligibility. That temporarily dings your credit score. So just don't do it right before an important financial event in your life, such as buying a house. 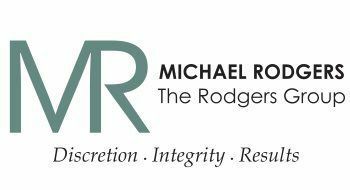 For all your real estate needs in Southern California call Michael Rodgers at The Rodgers Group for assistance at 310-954-0548 www.MichaelRodgers.com or email at Michael@MichaelRodgers.com.